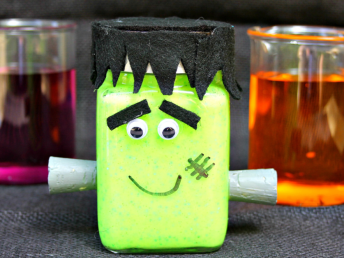 We love sensory slime activities around here, and we love this creepy eyeball slime sensory recipe for Halloween season! 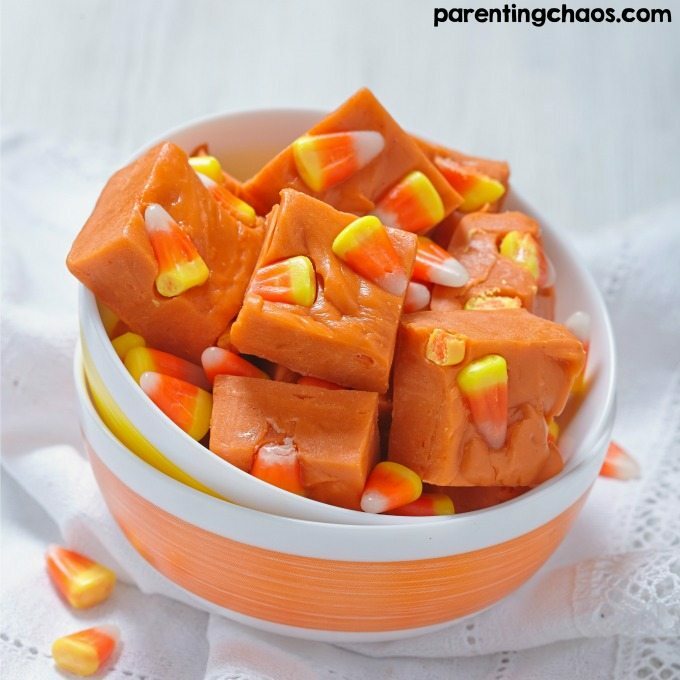 Your kids will love it too. 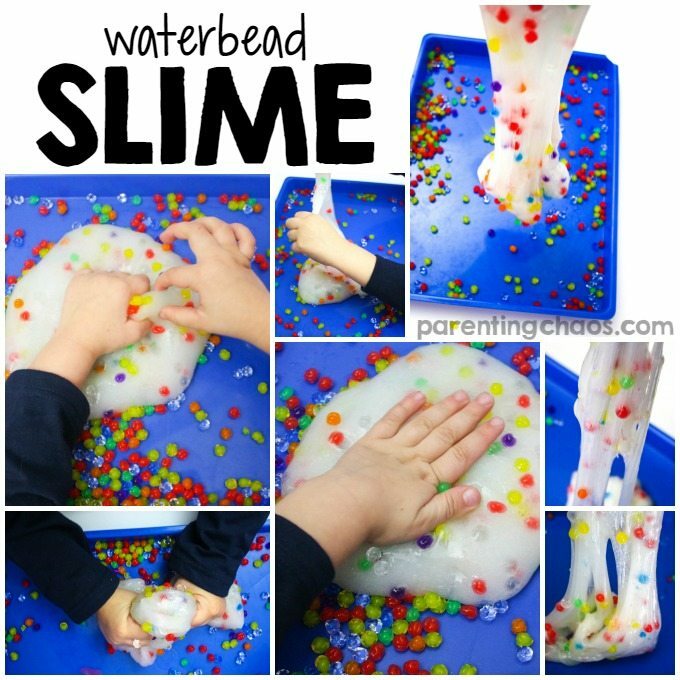 The kids around our house absolutely love Halloween activities, and they also love sensory slime activities. I try and mix up both kinds of activities as much as I can. 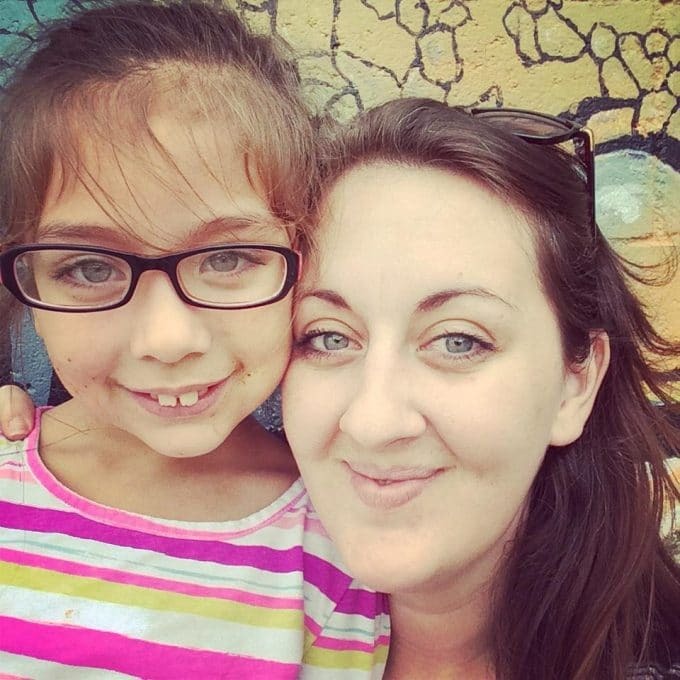 There’s definitely much to choose from around here! 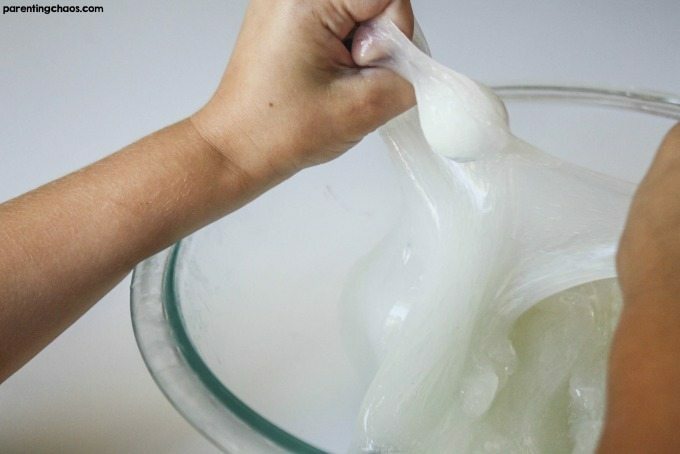 When the kids see we’re about to partake in slime activities though, they tend to get very excited. 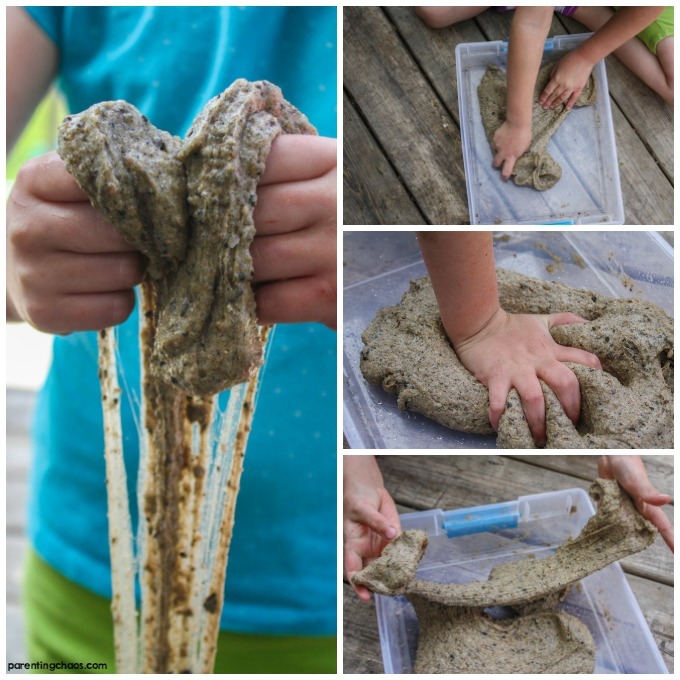 It’s such a great sensory activity and it allows them to play and experiment and explore different textures. 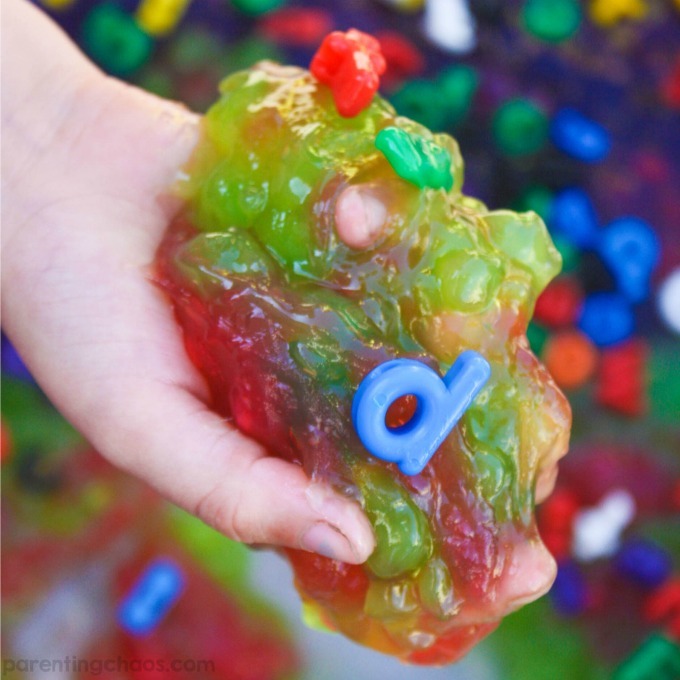 It’s so cool to feel the slime in your hands! 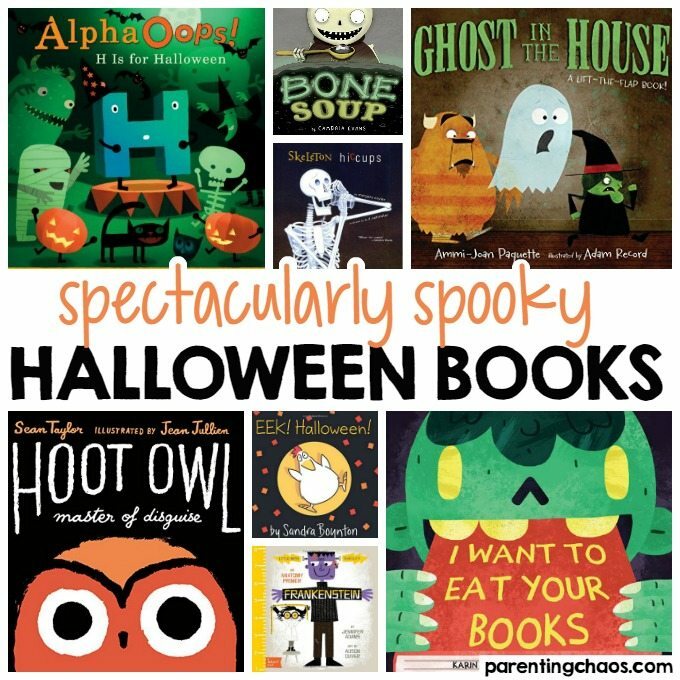 This activity is a little more spooky than most of the activities we enjoy. 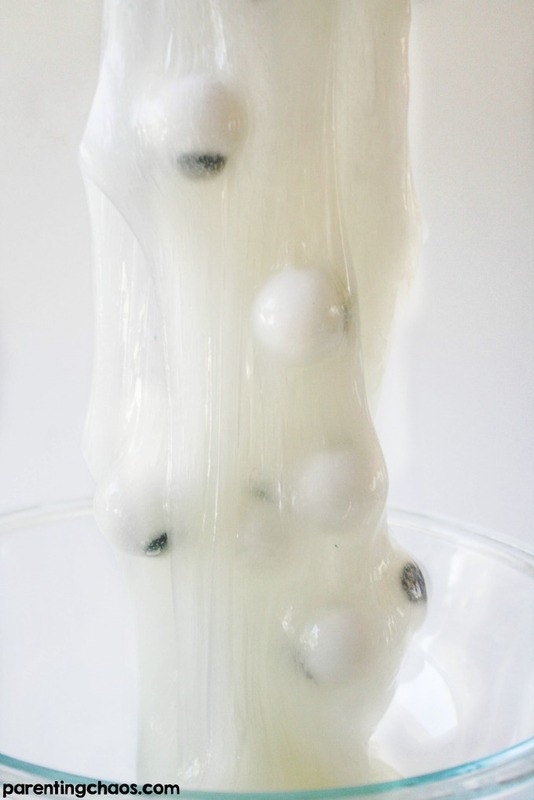 But nonetheless, the kids absolutely love this eyeball slime sensory recipe. I’m quite certain your kids will love it as much as mine do. In your mixing bowl, dump in all of the Elmer’s glue. 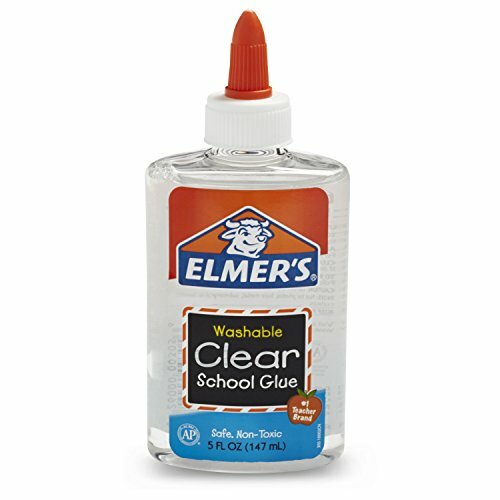 You can use off brands if you want, but we’ve found that Elmer’s works the best and is easiest to get just right. On top of the Elmer’s glue, add in one tablespoon of the liquid starch and stir. 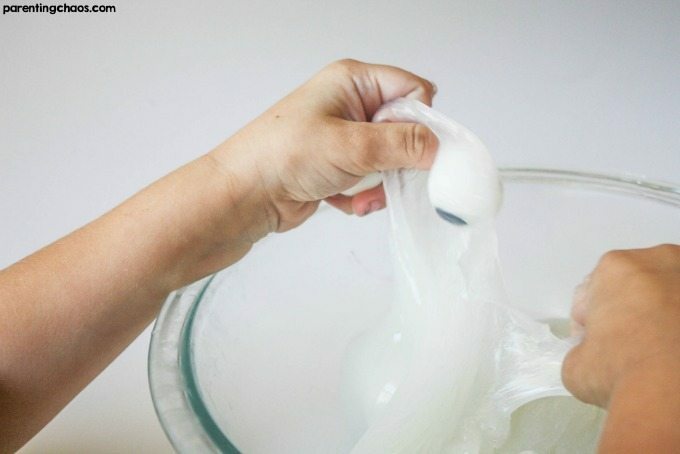 Continue to add an additional tablespoon until you get the firmness you desire. 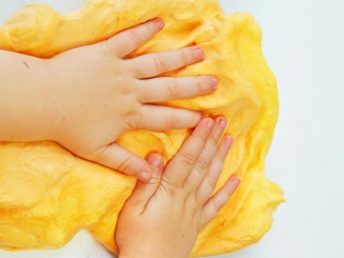 We prefer to keep doing this until it no longer sticks to our fingers. Once you’ve reached your desired consistency, add in your toys and play! 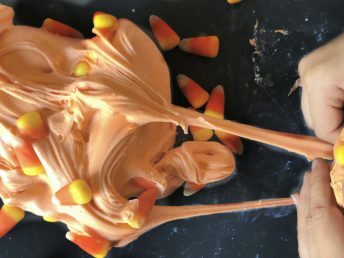 [child’s] loved playing with this activity as it was real stretchy and fun to play with, but also had the spooky eyeballs to make it even more fun! 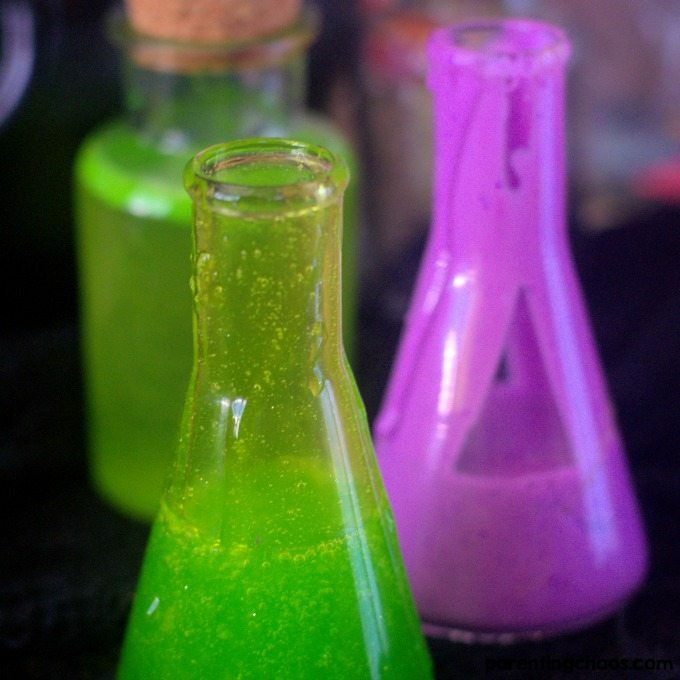 With the older kids, we also like to try and turn this into a fun science experiment. We can experiment with different temperatures, consistencies, and much more. 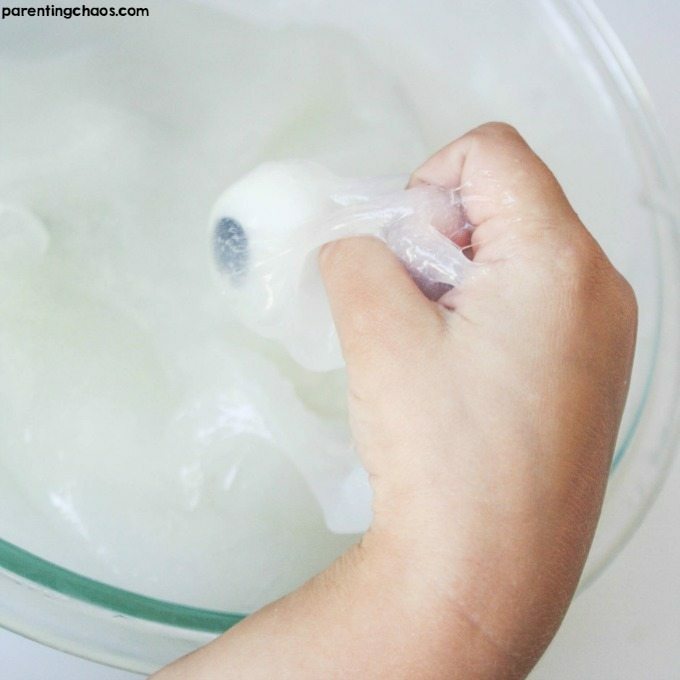 We have a lot of fun turning this eyeball slime sensory recipe into an educational science experiment, and the kids love it!